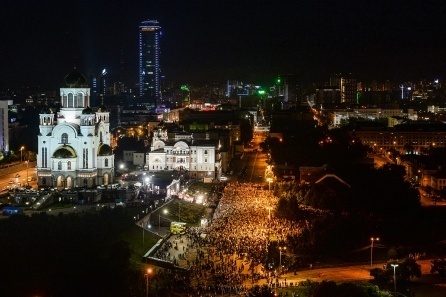 From the night of July 16 into July 17, 2018, on the 100th anniversary of the shooting of the Royal family, His Holiness Patriarch Kyrill of Moscow and All Russia served the Divine Liturgy on a platform [altar] in front of the memorial temple “On the Blood” in honor of All Saints of Russia in Ekaterinburg. The platform [altar] was constructed on the square in front of the main doors of the upper church where is located the “Tsar’s Room” - [now] a side altar in honor of the Royal Passion-Bearers, erected on the site of the murder of the royal family. The Divine Services at the place of the martyric end of the Holy Royal Passion-Bearers and their faithful servants became the culmination of the Royal Days in the Ekaterinburg Metropolia, dedicated to the centenary of the tragic events. The Holy Royal Passion-Bearers: Emperor Nicholas Alexandrovich, Empress Alexandra Theodorovna, the Heir Alexis, the Grand Duchesses Olga, Tatiana, Maria, and Anastasia accepted their martyric end 100 years ago, in the night of July 16-17, 1918, in the basement of the Ipatiev House. In the years 2002-2003 the Memorial Church “On the Blood” was build in the place of the Ipatiev House, which had been destroyed in 1977. 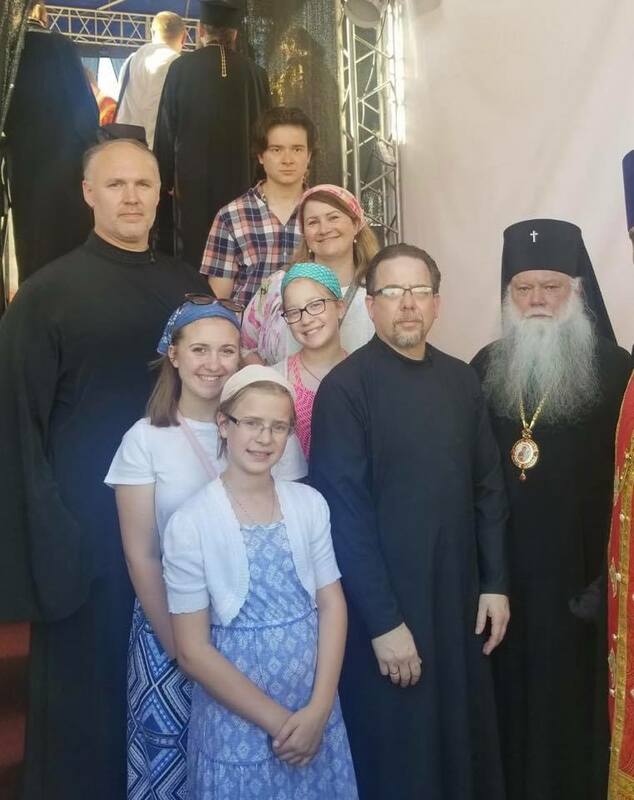 Also serving was Archpriest Maksim Minyailo, senior priest of the Temple “On the Blood”, Hieromonk Kyrill (Koritko), Secretary of the Ekaterinburg Diocese, as well as clergy of the Ekaterinburg Diocese [and other dioceses of the Russian Orthodox Church, including Deacon Alexander Petrovsky from the Diocese of Chicago & Mid-America]. The Divine Services were visited by: the Plenipotentiary Representative of the President in the Urals Federal District N.N. Tsukanov; Governor of the Sverdlovsk Region E.V. Kuyvashev; Chairman of the State Duma Committee of the Federal Assembly on the Development of Civil Society, Issues of Public and Religious Associations, S.A. Gavrilov; Chairman of the Legislative Assembly of the Sverdlovsk Region L.V. Babushkina; Chairman of the Imperial Orthodox Palestinian Society S.V. Stepashin; Chairman of the Supervisory Board of the Fund "Elisavetinsky-Sergievskoe Enlightenment Society" A.V. Gromov; Leadership of the Sverdlovsk region and the city of Ekaterinburg; Representatives of the House of Romanov: Grand Duchess M.V. Romanova, O.N. Kulikovskaya-Romanova, P.E. Kulikovsky-Romanov, L.A. Kulikovskaya-Romanova. Praying at the Liturgy were residents of Ekaterinburg and numerous pilgrims who arrived in the capital of the Urals from various regions of Russia, as well as from foreign countries: Azerbaijan, Australia, Austria, Belarus, Bulgaria, Great Britain, Germany, Kazakhstan, Kirghizia, China, Lithuania, Moldova, New Zealand, Serbia, the United States of America, Tajikistan, Turkmenistan, Uzbekistan, Ukraine, France, Estonia, South Korea, and Japan. Not far from the Church “On the Blood” a tent camp for nourishing and providing rest to pilgrims was set up. The hymnography was provided the Choir of the combined clergy of the Ekaterinburg diocese (Choir Director: Priest Alexei Rusin) and the Hierarchal Choir of the Holy Trinity cathedral of Ekaterinburg (Choir Director: M.Yu. Litvinenko). A live broadcast of the Patriarchal Divine service was streamed on the Soyuz television channel and on the patriarchia.ru portal. 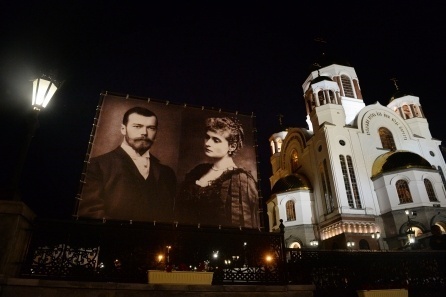 Numerous believers watched the broadcast on large screens installed on Tsar Street alongside the Temple “On the Blood”. A special petition for the departed was included: "Again we pray for the repose of the souls of the departed servants of God murdered in this very place: John, Alexis, Anna and all who were killed in the years of the atheistic repression; in camps, in dungeons and in bonds from wounds, diseases and famine; those tortured in bitter labors and all who performed the spiritual exploit [podvig] of being confessors [of the faith], and that they may be forgiven every transgression both voluntary and involuntary." Before the Communion of the laity, His Holiness Patriarch Kirill addressed the faithful with a First-Hierarchal word [sermon]. 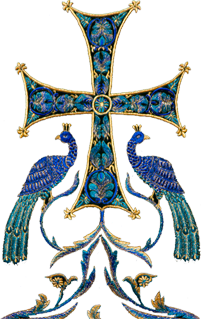 His Holiness donated a [large] hanging cross to the Church “On the Blood”, and for the other parishes in the Ekaterinburg Diocese 15 [liturgical] altar gospels. At the conclusion of the Divine Liturgy, His Holiness Patriarch Kirill of Moscow and All Russia led the traditional Royal Cross Procession from the place of martyrdom of the Holy Royal Passion-bearers and their faithful servants, to the monastery of the Holy Royal Passion-Bearers in the Ganin Yama tract (distance - 21 km). The route of the procession: Tsarskaya St., Tolmacheva St., Lenin Ave., Tatishcheva St., Bebel St., Technical St., Reshetskaya St., Railway Forest Park, Shuvaqish Hamlet - Ganina Yama Tract.